The Association for Symbolic Logic (ASL) publishes two essential series, Lectures Notes in Logic and Perspectives in Logic. 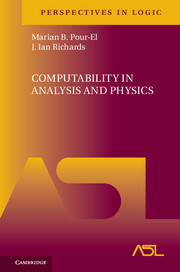 Cambridge University Press has released the complete collection of all Lecture Notes in Logic volumes and the Perspectives in Logic volumes to date on Cambridge Core, as part of the ASL's commitment to keeping them all available indefinitely. Serving researchers, teachers and students in the broadly interpreted field of symbolic logic, the aim of the series is to bring publications to the logic community with the least possible delay and to provide rapid dissemination of the latest research. Submissions are evaluated by scientific quality. To learn more about how to purchase the latest print volumes of this series, click here. 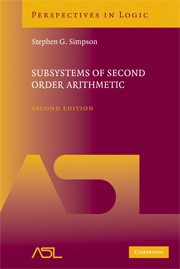 Additional information, including a list of the books in the series, can be found at on the Association of Symbolic Logic homepage, http://www.aslonline.org/books-lnl.html. The central theme of these substantial and high-quality books lies in some area or aspect of logic, particularly books that present new material not available in book form. The series ranges from introductory texts suitable for beginning graduate courses to specialized monographs at the frontiers of research. Each book offers an illuminating perspective for its intended audience. 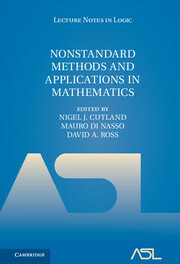 To learn more about how to purchase the latest print volumes of the series, click here. be found at on the Association of Symbolic Logic homepage, http://www.aslonline.org/books_perspectives.html.